Because you can never have too many USB ports. You can never have too many USB ports, especially if you have a lot of devices in your orbit. Today you can add six with an on-sale Anker charger. Normally $20, today the Anker PowerPort 6 Lite is listed at its lowest price of $16Remove non-product link. If you click the coupon box you’ll save another $4, bringing it down to $12 on Amazon—a killer price for a lot of ports. 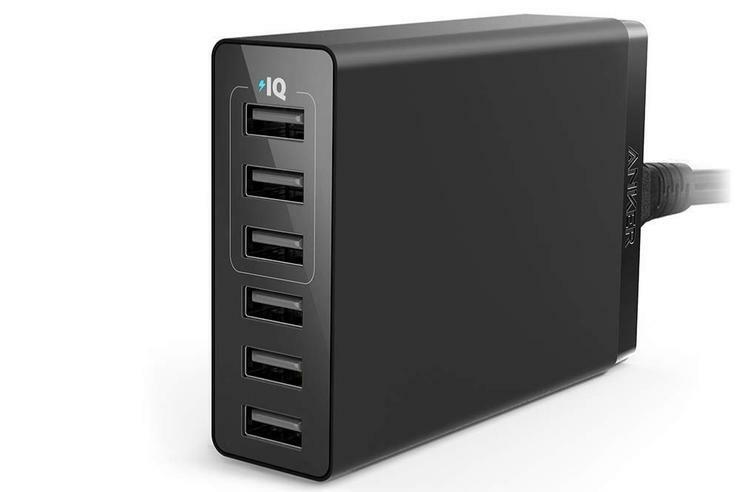 This compact USB charger comes with a full six ports for charging up all your devices at once. Of those, three ports feature Anker’s PowerIQ and VoltageBoost technologies to charge devices faster (up to 2.4 amps per port). The charger will also protect your devices from surges and features in-device temperature control to keep from overheating. We haven’t tried this charger ourselves, but we’re fans of Anker in general. And it looks like this product has fans of its own—it has 4.7 stars out of 5 across more than 350 user reviews on Amazon.